By having a lot of cards in play you can have a plethora of effects continually providing you with benefits. 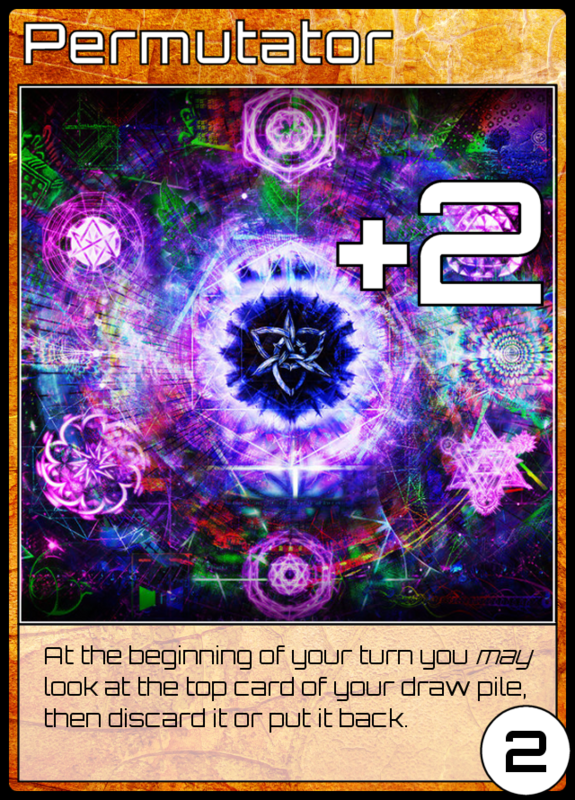 Defensive cards can stop any opponent from messing with you, while utility cards like Permutator (2ER, +2, At the beginning of your turn you may look at the top card of your draw pile, then discard it or put it back.) 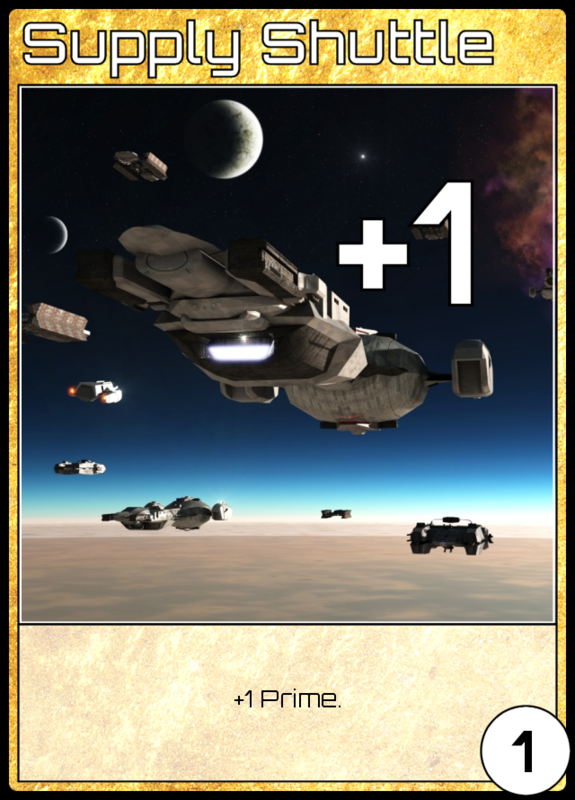 or Entropy Engine (3ER, +0, At the beginning of your turn draw a card) can give you extensive card draw or a way to lock-down / control your adversaries. ...but not as nice as this. Your hand is your materiel, your ammunition. The more cards you've got in hand the more options you have in your turn. 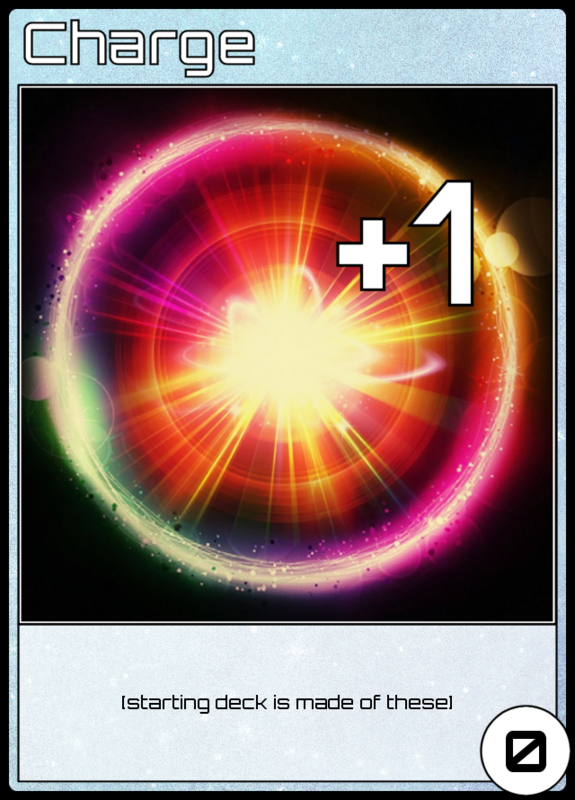 Add to that the presence of defensive cards like Blink Drive (2ER, -1, You may play this card when an opponent targets you or your cards to nullify opponent's card, played: Draw a card) and a large hand of cards can give you a large psychological advantage, as well as the actual advantage of having lots of answers to your opponents plays. Simply having this in your deck can deter opponents. There are two key play mechanics in Progenitor aimed at redressing these advantages. That is not to say it removes them: after all, a player who has played well enough to get into a position of power deserves to be rewarded for it. They do, however, provide a couple of ways through, a couple of chinks in the armour that a canny player can take advantage of to pull a game back in their direction. AM Shell Added 'playable' when playing with a card from hand to stop instant win with All-In. Adaptive Shielding Opponent may discard card with same Energy Requirement to stop gain. 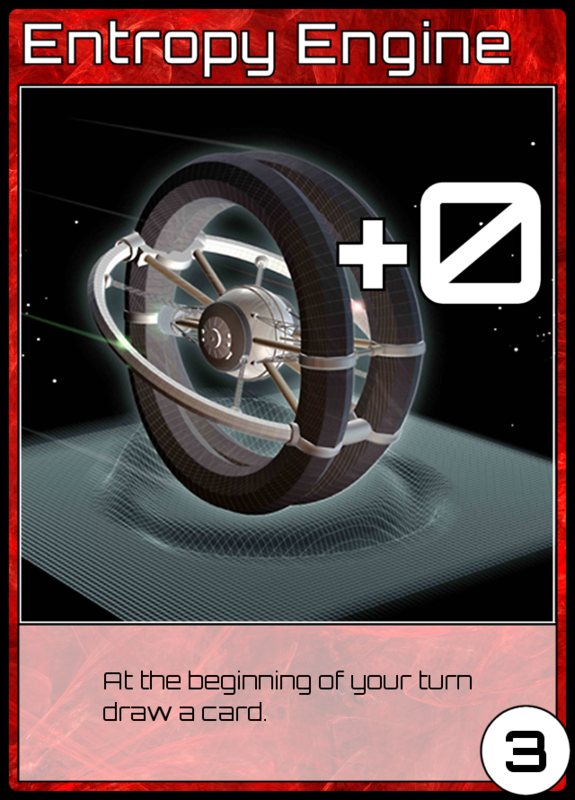 Blink Drive Increased Energy Requirement from 1 to 2. Please let us introduce our new services that can make your app look more appealing and will eventually lead to more downloads. As discussed in the previous post, tempo is calculated by adding up your gain and your opponent's loss from a card effect when you play it. 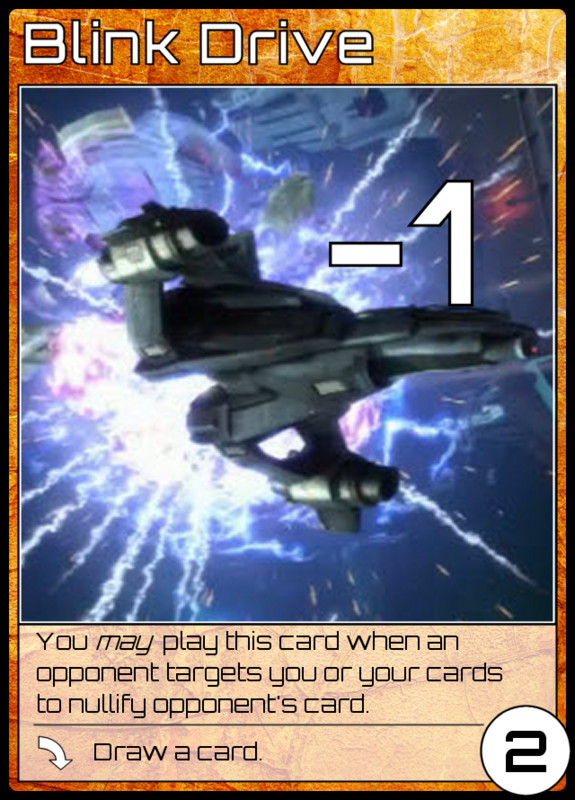 I stated that Laser Salvo (1ER, +0, played: destroy target card) is worth 2 tempo: when it destroys an opponent's card it costs them 1 draw and 1 play. However, in order to generate that destroy effect it has cost you 2 tempo as well: you have had to draw the Laser Salvo and then play it. Thus it could be argued that Laser Salvo is worth 0 tempo: -2 tempo from your draw & play, +2 tempo for opponents loss. 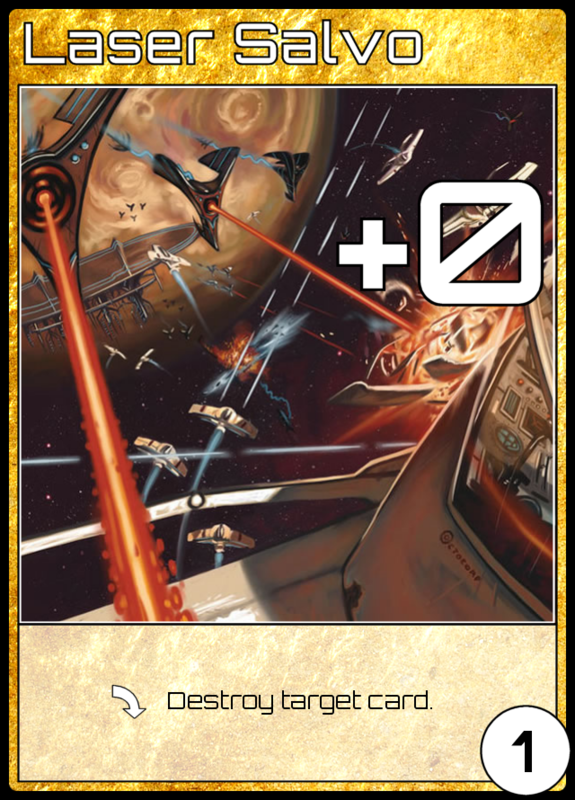 If you imagine a play situation: opponent plays a Charge, then you destroy it with Laser Salvo. The game has moved on 0 tempo from your previous turn.